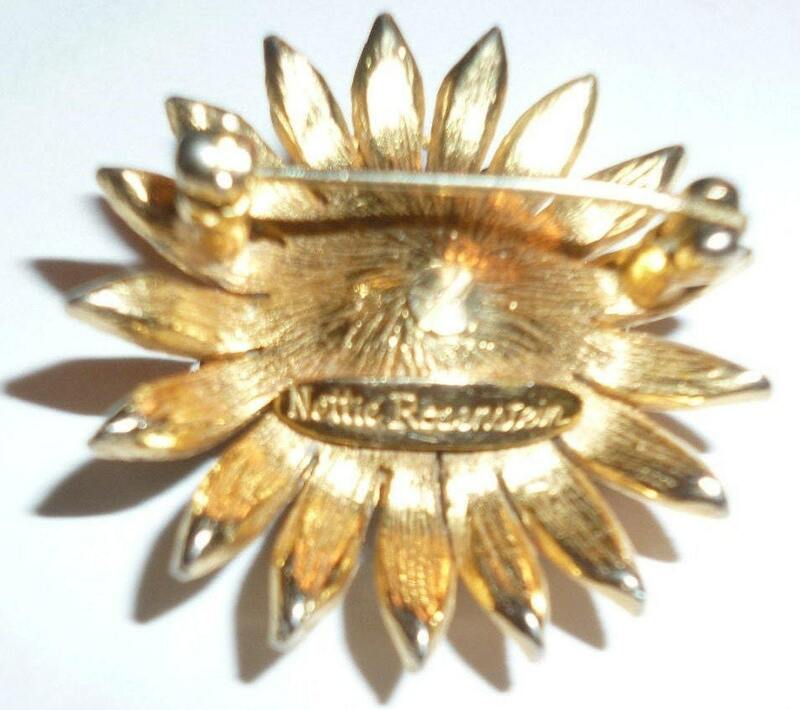 A lovely vintage starburst brooch with Nettie Rosenstein insignia. 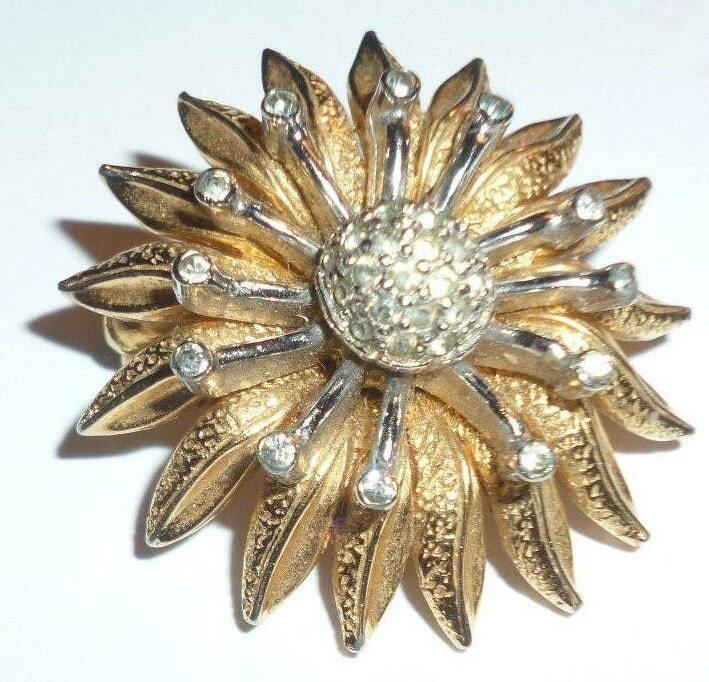 Gold tone metal star burst shape. Center covered with rhinestones. So pretty! 1.5 inches in diameter. Nettie Rosenstein is a famous maker whose costume jewelry is quite collectible.